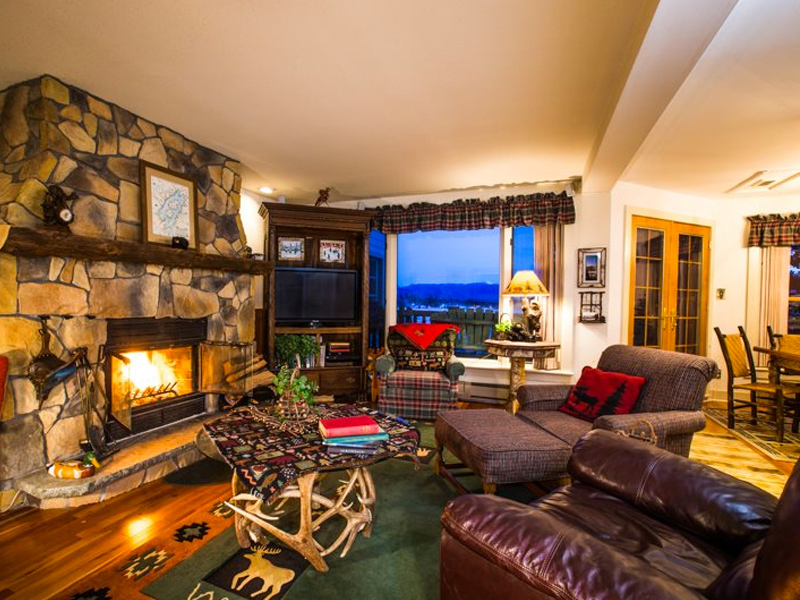 A beautiful Adirondack appointed condominium nicely suited for couples or families. The open living, dining and fully equipped kitchen provide a fantastic view of Mirror Lake with 42″ DVD theatre system and wireless internet access. Relax on the private veranda in the summer or in front of the cozy stone fireplace in the winter. The upper level hosts a master bedroom with a king bed and bath ensuite including a whirlpool tub. The second bedroom hosts a queen bed with private full bath ensuite. The third bedroom is adjacent to the main living area with a king size bed and access to another full bathroom. This condominium is within a few minutes walking distance to the Lake Placid Village and nationally awarded Mirror Lake Inn and Spa. Guests of Swiss 2 enjoy the indoor and outdoor pools, jacuzzi, fitness and water sports (including boating) privileges at the High Peaks Resort located next door. Watch Mirror Lake activities from your window, or walk down a few steps and enjoy a morning jog around the lake or go fishing. You are in for a memorable and relaxing vacation in the Adirondacks. Please phone or email our office for more details.